24x72" Sideboard. Excellent condition with lovable cabinets and key. Family since 1950s; don't know prior hx. Thank you for submitting your item for appraisal. 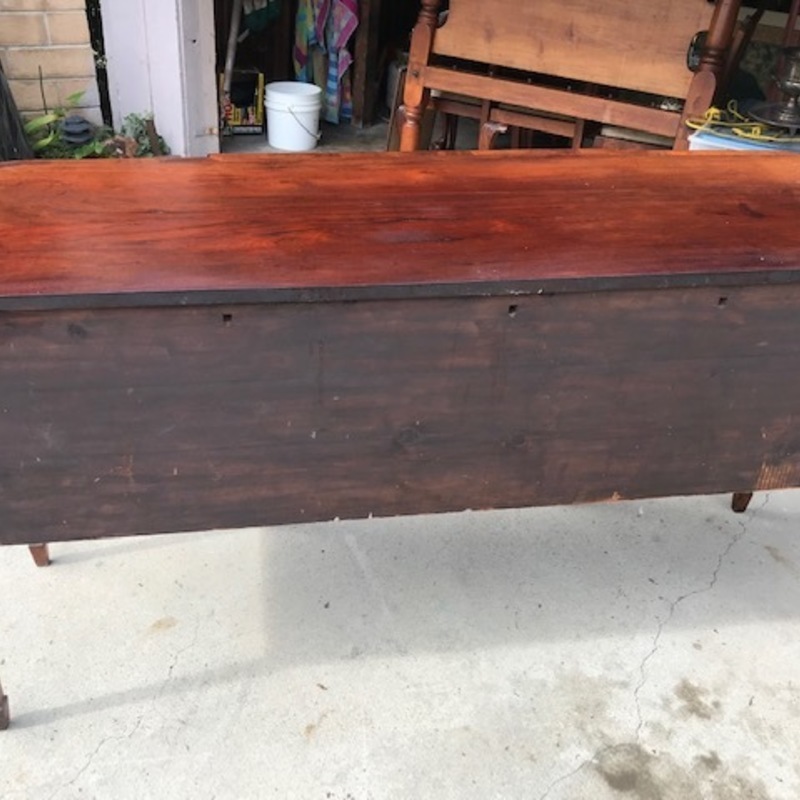 This appears to be an early 20th century Sheraton mahogany veneered sideboard, the lobed rectangular top over drawers with brass handles, flanked by two doors, all raised over tapered legs with spade feet. The condition appears to be good. The estimate is based on similar sold at auction. Asking prices in the trade are usually higher and can vary. There is no measurement for the sentimental value you might attach to the item.